A new major development project in Richmond’s city centre will turn acres of parking into a massive, dense mix-used community. Vanprop Investments has decided to move forward with a plan to redevelop its 50-acre Lansdowne Centre shopping mall property, which is framed by No. 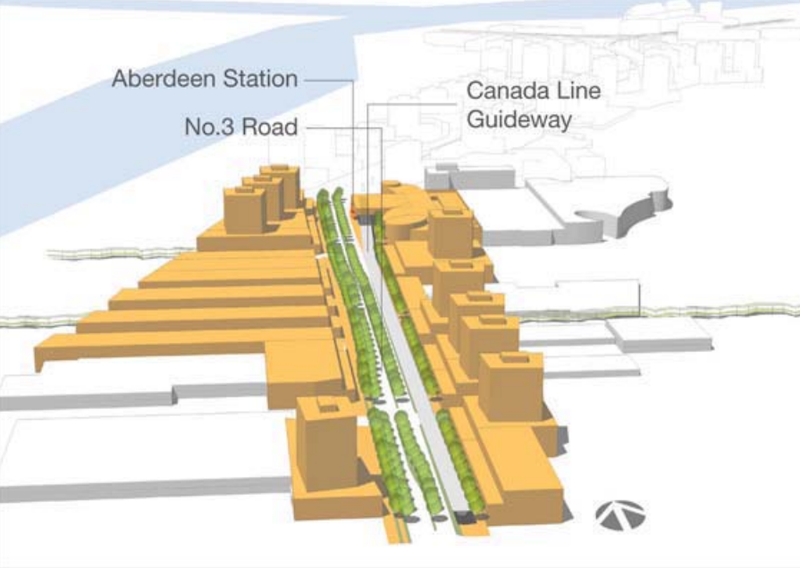 3 Road to the west, Alderbridge Way to the north, Garden City Road to the east, and Westminster Highway to the south. Preliminary plans call for the construction of a number of residential high-rises of up to 15-storeys in height, along with new retail, office space, major park, and other open spaces. 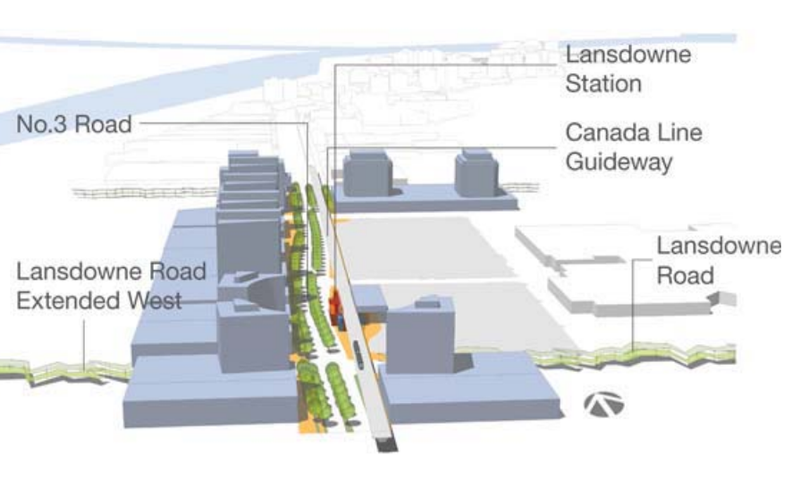 New public streets could also run through the property as an extension of the city’s existing street network. Public consultation will begin later this year. The shopping centre will remain open during the construction, which will be initially focused along No. 3 Road and near the SkyTrain station. 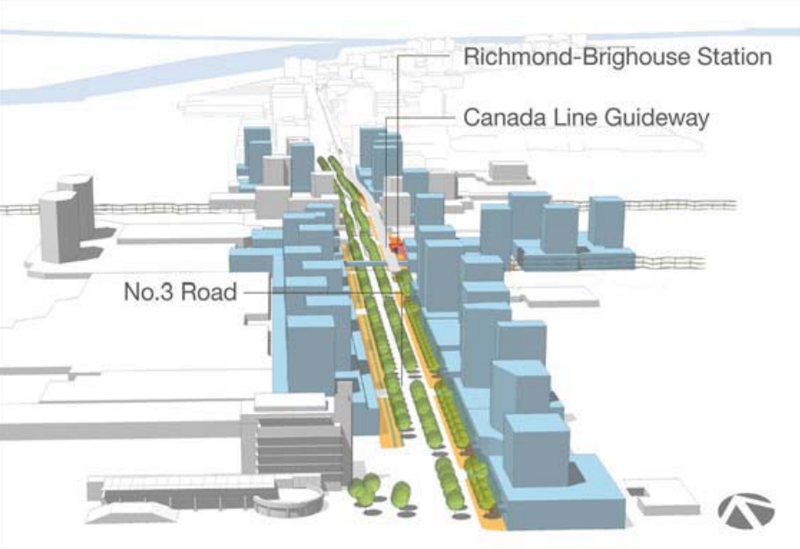 He notes that the plan aligns with the framework of the recently approved Official Community Plan for the City of Richmond, which designates the so-called Lansdowne Village for high-density purposes and as the “Centre of the City Centre”. Elements outlined in the community plan’s vision for the area include: a vibrant, urban shopping and dining precinct; hotels; major civic spaces that can host public events; and a new main public library for the municipality. A ‘canyon’ of high-rises is planned for the No. 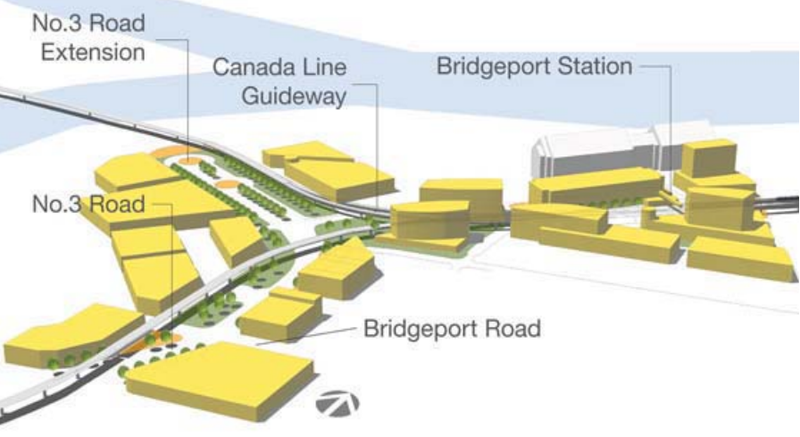 3 Road corridor – from Bridgeport Station to the north and Granville Avenue to the south – over the long-term. Such developments will replace existing strip malls and grade-level mall parking. Another major development cluster centres around where the corridor intersects with Capstan Way. 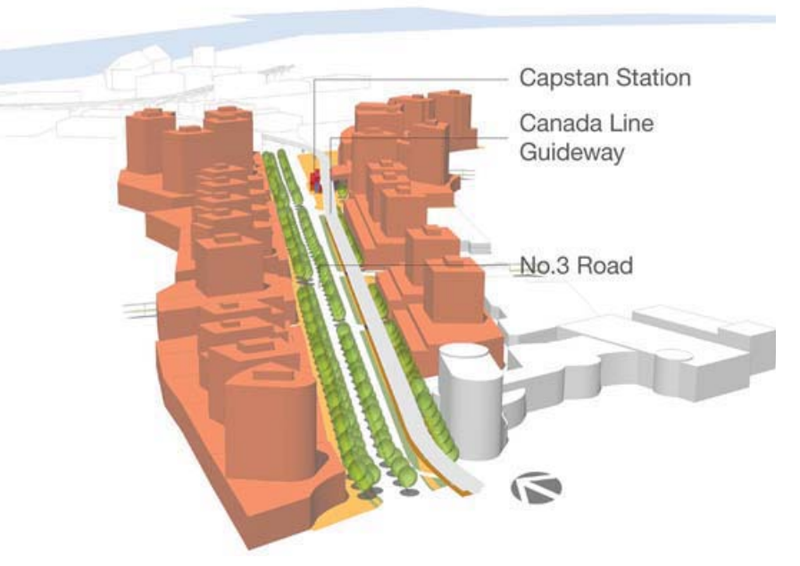 A future SkyTrain station, funded by local developers, will be built at Capstan Way to help support the increased activity from the 6,500 new residential units being built within the immediate vicinity.